Book hotel rooms online with us at Villa Termal Das Caldas De Monchique Spa Resort Hotel at the lowest rate, guaranteed. 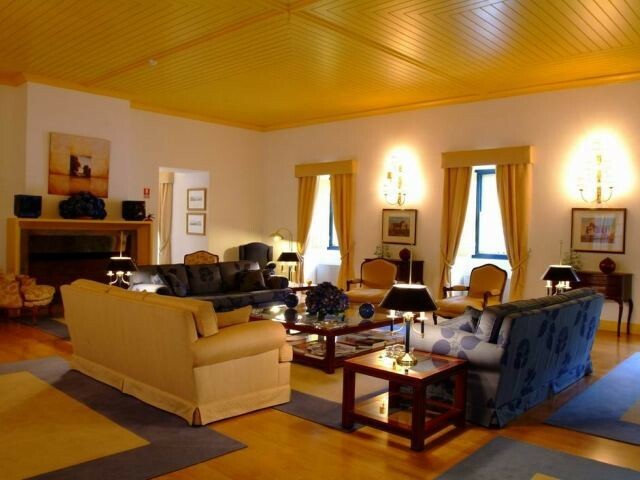 Get your holiday discount room rate at the 4 Star Villa Termal das Caldas de Monchique Spa Resort is a group of lodgings located in the whitewashed village of Caldas da Monchique in the mountain in the western Algarve. The village dates back to the Roman period when it was first developed as a Termal Spa and is about 20 kilometres inland from the beach. There are 103 bedrooms available, all decorated and furnished elegantly in the 18th and 19th century style. The accommodation ranges from one to four adults in rooms to an apartment. The Villa Termal das Caldas de Monchique Spa has its Spa with an indoor pool and outdoor pool, massages and beauty treatments, sauna and steam baths, a restaurant, games room, and finally a hot spring bath.